CANDLES - LIGHT 'EM UP! 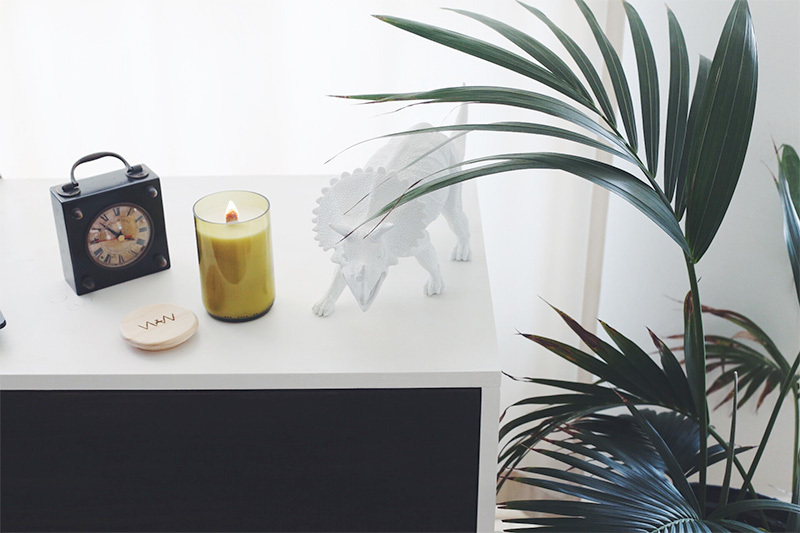 We Are Wild > BLOG > Products > CANDLES – LIGHT ‘EM UP! 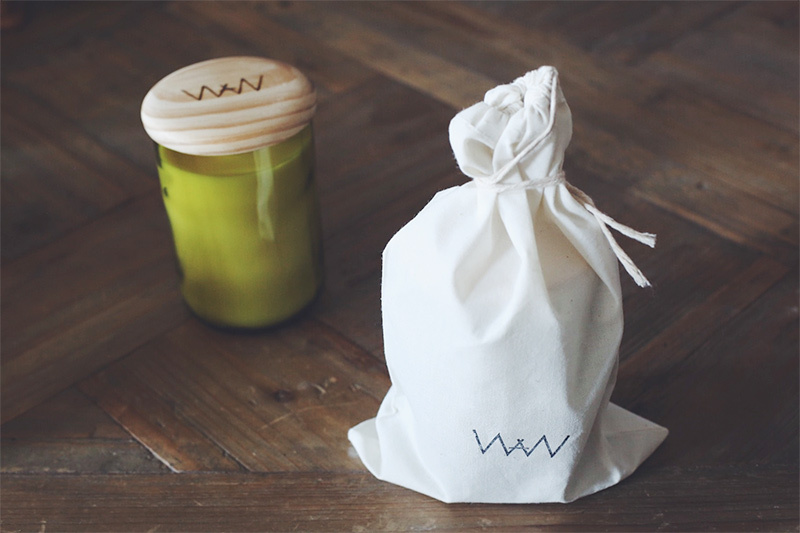 Our candles are finally here! 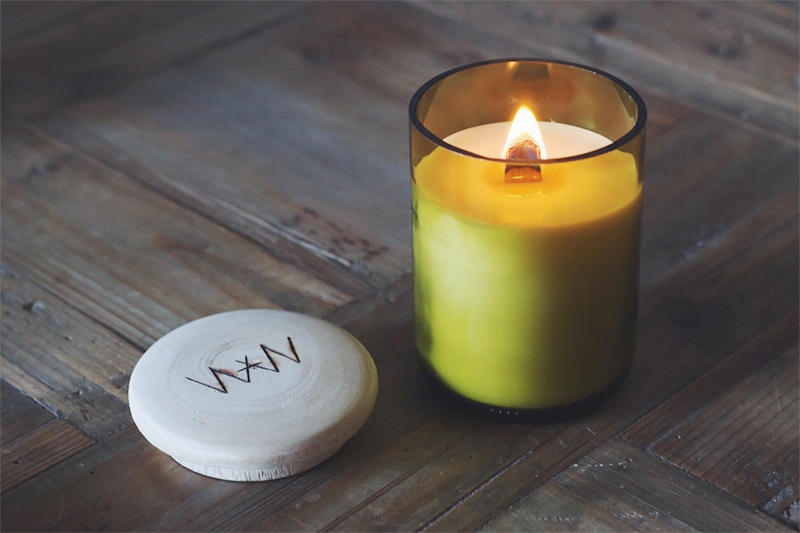 We’ve been working super hard at the We Are Wild studio to get ready for the launch of our candles, and we’re proud to say they’ve just gone up on our Etsy store. Oakmoss + Amber – perfect if you are a bespectacled hipster gentleman of the lumberjack aesthetic, or if you want your place to smell like one, in a non-creepy way. Coconut + Lime – a fantastic way to feel like you’re sipping a cocktail with a tiny umbrella in it on a tropical island, without the hassle of finding our passport. Vanilla + Sandalwood – you know you like it already, because sandalwood is all exotic and rich, and everyone likes vanilla – it’s awesome! 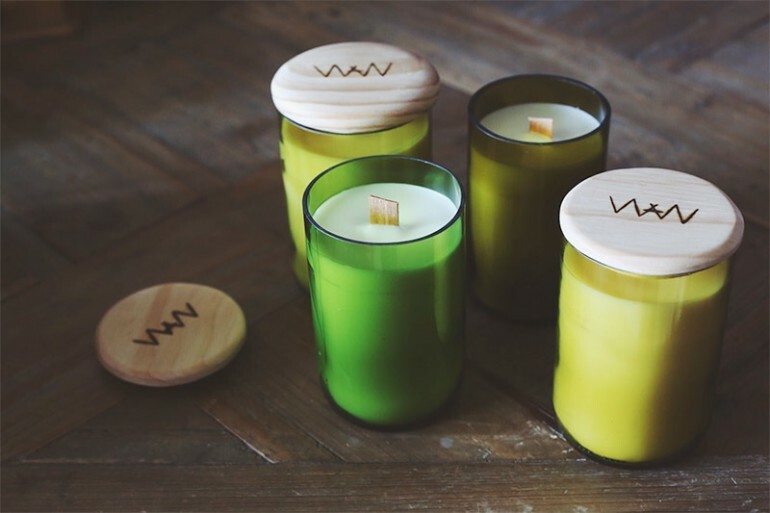 These candles are hand poured soy wax with wood wicks, which give a wider flame and make a soft crackle while they burn. The exciting bit is that the each glass container we use is a recycled wine bottle! 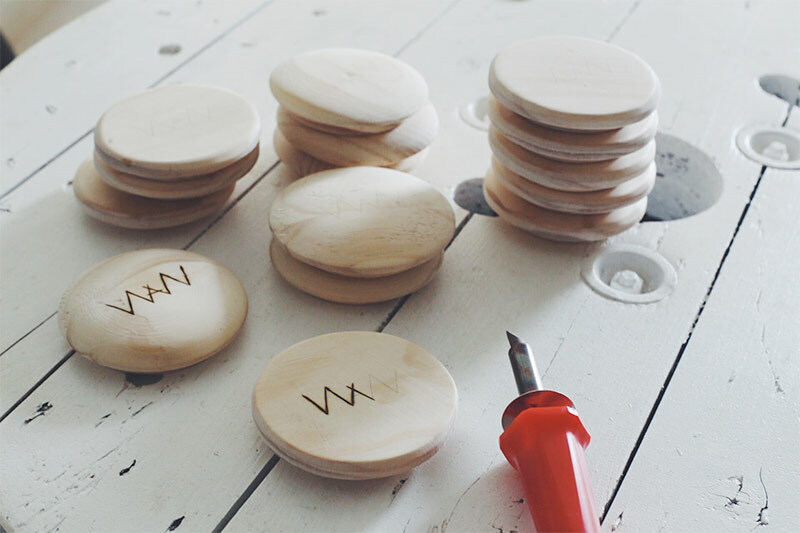 We carefully hand cut these and sand down the edges to make them safe. This makes each candle one-of-a-kind, and pretty darn special. The colour and thickness of the glass varies a bit, but each candle has 40+ hours of burn time. 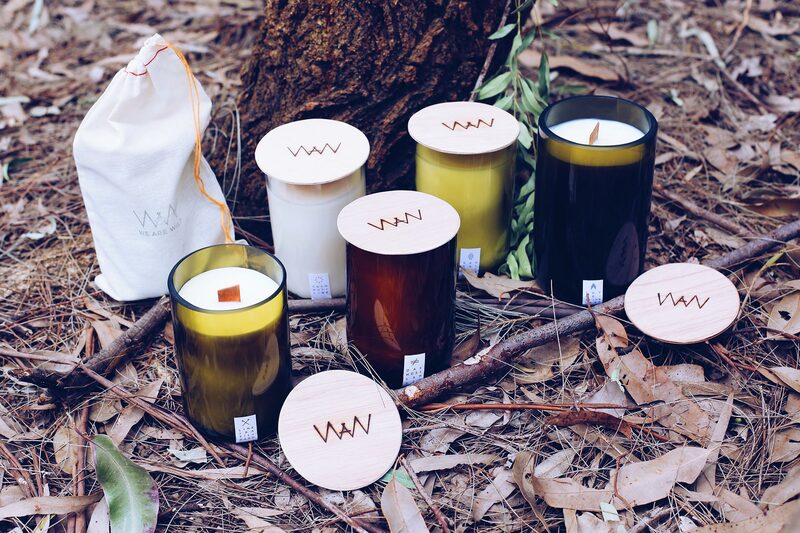 Each candle comes with a special wooden lid, made by some excellent gentlemen from our local Australian Men’s Shed Association. Men’s Shed is an organisation designed to encourage good mental and physical health among men in our society through the practice and teaching of skills, such as wood working. We finish our lids off by burning our logo into the top. 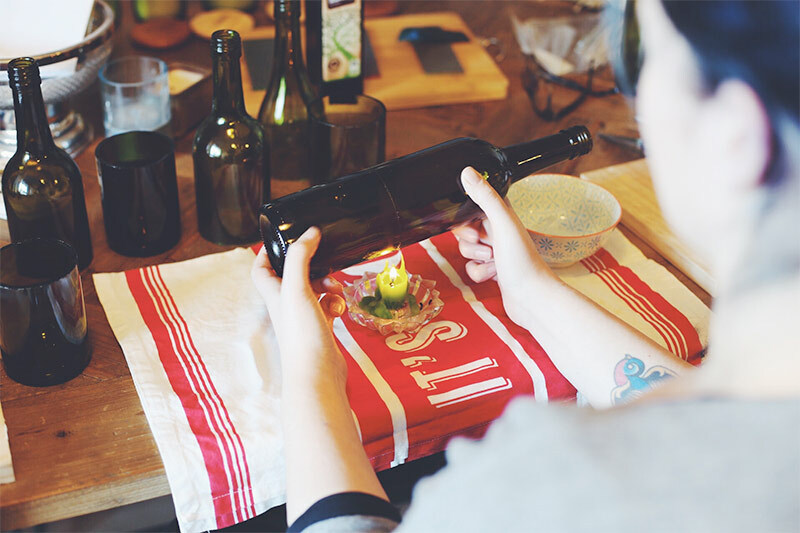 In the spirit of recycling, the glass container can be reused once the candle is finished. Remove the wick, stick the glass in the freezer for awhile and chip off any wax that’s been left behind. We think they’d make a great pot for a small plant or to hold your pens! If this all sounds good to you, head over to our Etsy store to purchase one!